The Finnish studio captures a detailed scan of an actor, including 64 facial expressions (a base from which any look can apparently be created), reported Edge Online. Animators then do the rest - a system removes the need to act and capture each scene. Remedy is even working on a way to copy blood flow beneath the skin, allowing cheeks to flush realistically when tempers flare, for example. "L.A. Noire has set a bar for facial animation," Remedy CEO Matthias Myllyrinne accepted. He thrust one hand forward then another significantly higher and said, "But [Rockstar's game] is here, we're aiming to be here." Whether that new Remedy game is Alan Wake 2 we don't know for certain. The model Remedy demonstrated the new technology with to Edge Online was Alan Wake's Ikka Villi. Posts for job vacancies at the Finnish developer have also hinted at Alan Wake 2 - a game Remedy has confirmed to Eurogamer will be exclusive to PC and Xbox 360 should it exist. L.A. Noire relies on a groundbreaking facial animation system as a core gameplay mechanic. Working out if one of your detective's suspects is lying is tantamount to your success. Team Bondi's game invested heavily in technology that automatically recreates a real actor's look and performance in game, saving hours and hours of painstaking animation. 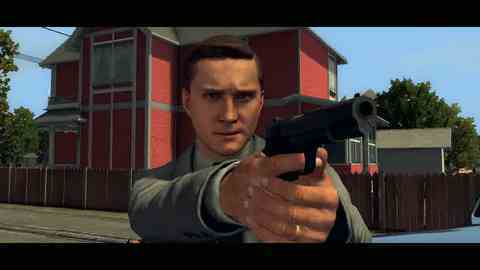 L.A. Noire launches next month.